Cisco VPN Client allows you to establish encrypted VPN tunnels for highly secure remote connectivity for your mobile employees or teleworkers.Simple to deploy and use, our IP Security (IPsec)-based VPN Client is compatible with all Cisco VPN products.The Cisco VPN Client can be preconfigured for mass deployments, and initial logins require little user intervention. 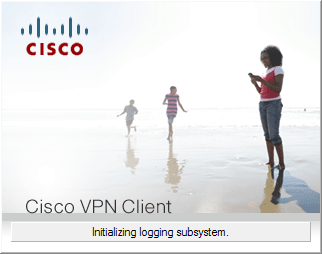 It supports Cisco Easy VPN capabilities, which allows the Cisco VPN Client to receive network security policies upon a VPN tunnel connection from the Cisco Easy VPN Server, minimizing configuration at the remote location. Phần mềm này không support Windows Server 2008 R2, bản 64 bit đúng không bạn? Thông tin phần mềm ở trên đã ghi rõ "XP, Vista (x86/32-bit only), and Windows 7 (x86/32-bt only); Windows x64 (64-bit) support requires Cisco AnyConnect VPN Client"
cái này h ko dùng đc trên win 10. bạn có bản mới hơn ko?